Have you ever heard of Eva Cassidy, or heard her sing? Eva Marie Cassidy (February 2, 1963 – November 2, 1996) was an unpretentious humble girl from small town Bowie, Maryland. She worked hard with her mother in their nursery growing flowers and plants. But Eva also sang. She had the voice of an angel, and delivered songs with purity, passion, and power. She accompanied herself on guitar, and also sang with a band. She would immerse herself in the words, she “connected to the lyric” and lived the songs. Her voice communicated directly to the hearts of her listeners. Rarely was there a dry eye in the place. Eva sang the songs that she liked, regardless of genres, which is why record companies would not sign her during the days of manufactured music. They couldn’t slot her into a specific category. She sang blues, jazz, gospel, folk, old standards, and more. At first she was extremely shy, didn’t care for stage presence or how she dressed. With the help of local musicians she performed at Blues Alley, a local jazz spot in Georgetown, Maryland. One of her shows was later recorded. She sold two locally produced CDs out of the trunk of her car. In 1986 Chris began recording the then-unknown singer Eva Cassidy. For the next ten years he worked with Eva to develop her as a recording artist, producing most of her recordings available today. In the years since Eva’s death in 1996, her recordings have sold more than 10 million copies and achieved international renown, including three albums that reached number one in the UK charts. Chris has received numerous Gold and Platinum records in the U.S. and internationally for his work with Eva. Bill Straw of Blix Street Records signed her up and continues to release and reissue her music, like the 20th anniversary of the new 32 track/2CD Nightbird album, The Best Of Eva Cassidy, Simply Eva, and eight other collections listed there that you can sample. Her performances of Over The Rainbow, What A Wonderful World, Songbird, Falling Leaves, Time After Time, Sting’s Fields of Gold, and more are legendary, many recorded live in a club. Sting himself was blown away when he heard her rendition of his song. He put a copy of her Songbird CD into record producer David Foster’s hands who quoted him saying, “‘If you want to hear the greatest version of my song ever’—he didn’t say it in an egotistical way—he said, ‘listen to Fields Of Gold with this girl, it’ll change your life.’ And her voice is life-changing, she’s that spiritual.” I love that song and remember hearing it on an airplane’s music channel during a flight. It was astounding! I had to find out who this singer was. A relatively unknown singer in America at the time, somehow her music made its way across the Atlantic. From the first time Sir Terry Wogan, a BBC radio broadcaster, listened to Eva sing, he knew “she was an outstanding talent.” He said, “It was pure sound. A bell-like voice. She had this perfect pitch.” He couldn’t wait to play it on the radio. His was the most listened to program in the country at the time. It created a huge response from many of their seven million listeners wanting to know who she was. Unfortunately she had died two years earlier of cancer at the young age of 33. At one point five of her CDs became top sellers at the same time, a feat usually held by the Beatles and Rolling Stones. She was then discovered back home in the USA. ABC Nightline in Washington, DC researched and produced The Eva Cassidy Story (18:40). It was shown in many countries around the world and within a week of it airing her CDs went to the top of the local charts. You can listen to her music on the YouTube Eva Cassidy channel. A book about her was written (Sept 29, 2003) by Rob Burley and Jonathan Maitland called, Eva Cassidy: Songbird: Her Story by Those Who Knew Her. Another book, Eva Cassidy Behind the Rainbow, was written (February 1, 2012) by art critic and music lover Johan Bakker. Watch The Eva Cassidy Story on ABC Nightline (18:40). Watch the documentary film: Eva Cassidy: Timeless Voice (58:06). Watch the trailer to Eva Cassidy: Timeless Voice, before/after the film. Other selected poems by Mary Oliver are posted on The Uncarved Blog. January 12th has been traditionally celebrated as the birthday of Maharishi Mahesh Yogi. This year, January 12, 2018, is the centenary of his birth. After taking a Week of Silence at the start of every year, Maharishi would use the occasion of his birthday to inaugurate a new theme for the new year for his worldwide Transcendental Meditation Movement. See a PDF of Maharishi’s Achievements for each year. You can read more about this in the description I wrote after Sally Peden’s poem, To Jyotir Math, in this post: Sally describes her journey “To Jyotir Math” with Maharishi and scientists who met to tell the Shankaracharya about the dawning of a new age. On January 18, 2011, The Times of India published an article about Maharishi by Lane Wagger, The Prime Mover of Life. In this article, titled, Transcendental Meditation, Lane Wagger recalls the legacy of Maharishi Mahesh Yogi for his centenary year. Don’t know the date and paper it was published in, but here is an image of the article I had converted into a PDF: Maharishi’s Legacy by Lane Wagger. If you open it, go to Tools, Rotate Clockwise, then Zoom up to 110% to read it. A very beautiful article is A Remembrance of Maharishi by James Powell. Many articles came out after Maharishi’s passing 10 years ago. See A Tribute to Maharishi Mahesh Yogi. And Australian Yoga Life Magazine features Maharishi Mahesh Yogi in their Early Pioneers of Yoga series. Some of my favorites of or about Maharishi are: Les Crane interviews Maharishi Mahesh Yogi | Watch the 1968 film of Maharishi at Lake Louise | The story behind the making of the International History documentary on Maharishi Mahesh Yogi| Peter Wallace’s story of how he met Maharishi. Oct 2018, Steve Van Damme wrote a comprehensive personal answer to a question posed on Quora: What do TMers think about Maharishi’s character? These remembrances are just a fraction of what he had accomplished. He created schools, universities, revived ancient Vedic medicine, architecture, music, encouraged scientific research on TM, and so much more. Maharishi’s Vedic knowledge and technologies continue to transform millions of people’s lives for the better, and for that we are very thankful. Jai Guru Dev. David Lynch Foundation (DLF) CEO Bob Roth joined BUILD Series NYC host Charles Thorp to talk about the work of the global charitable organization. DLF addresses the epidemic of trauma and toxic stress among at-risk populations. It hosted “Change Begins Within: Healing the Hidden Wounds of War,” a benefit dinner and conversation, which featured meditating actors Tom Hanks and Mary Louise-Parker. The proceeds benefited David Lynch Foundation programs, including the Center for Excellence in Military Health, a division of the David Lynch Foundation helping veterans and those in the armed services dealing with post-traumatic stress (PTS). Watch this engaging interview here: https://goo.gl/zpKLwa. 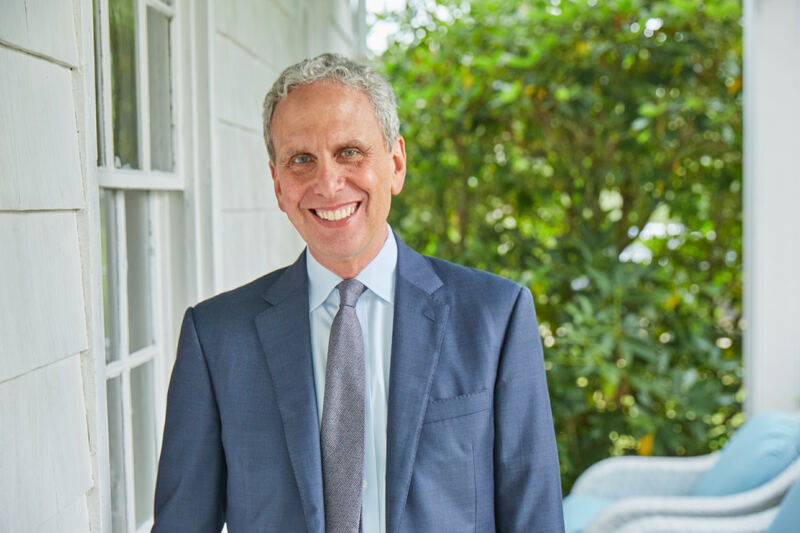 Bob Roth’s new book, Strength in Stillness: The Power of Transcendental Meditation, comes out Feb 6, 2018. All of the author’s proceeds will go toward helping combat veterans suffering from PTSD. Available for pre-order: http://bit.ly/2AHUUnn. In Strength in Stillness, Roth breaks down the science behind meditation in a new, accessible way. He highlights the three distinct types of meditation—focused attention, open monitoring, and self-transcending—and showcases the evidence that the third, Transcendental Meditation, is the most effective and efficient way to reduce stress, access inner power, and build resilience. Free of gimmicks, mystical verbiage, and over-inflated research studies, Strength in Stillness is a simple and straightforward guide to calming mind, body, and spirit. Read more here: www.stillnessbook.com. Watch this excellent book promo video, containing excerpts from various presentations, interviews, and famous meditators talking about what TM does for them, and others in need, on Bob Roth’s (@meditationbob) Twitter feed. Jan 10, 2018: Bob Roth explained his book on his Facebook page live. Feb 6, 2018: @GMA’s @RobinRoberts & @GStephanopoulos interview @meditationbob on his new book #StrengthInStillness: The Power of #TranscendentalMeditation.